Responsive, targeted emails that look great on every device and further your inbound strategy. Responsive, targeted emails your community will love. Improve your email marketing with responsive, targeted emails that look great on every device. With a suite of modern tools to help you increase click-through rates, including personalisation tokens, social media buttons, styled calls-to-action, and a device preview tool, the new eNotify brings industry best practices to your fingertips. 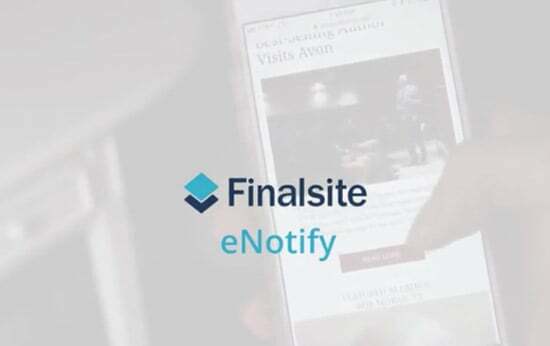 Watch the video on the right to see eNotify in action! "We've received really positive feedback from parents and staff. eNotify makes reading the newsletter so much more fluid. People can just open the stories and click to read the stories of their choice." Send responsive, targeted emails your community loves with eNotify. This datasheet includes a brief overview of the eNotify module, a checklist of features and benefits, and product screenshots.